From South Africa to Brazil, massive protests rattled the status quo. Facebook/Veterans for Standing Rock/Wes Clark Jr.
2016 was politically tumultuous — to say the least. The world-bending war in Syria continues to grind on. President Dilma Rousseff of Brazil and president Park Geun-hye of South Korea were impeached. Fidel Castro died. Donald Trump was elected president in the United States and Britain voted to leave the European Union. These are only a few of the most dramatic political transitions of the year. All around the world it seemed countries turned inward and tensions flared along borders. Exhibit A: The refugee crisis seems to have stoked more rage than compassion (except in Canada). But, within this reactionary cauldron, political movements are rising and pushing back against darker forces. Approximately 180 million workers protested in India on Sep. 2. It was likely the largest organized protest of all time and sent shockwaves through the country’s economy. The workers demanded an increase to the minimum wage to keep up with inflation, along with better health insurance and social security. Within the fastest growing economy in the world, corruption and inequality are growing, leaving hundreds of millions of people behind. This splintering between the haves and the have-nots is nothing new, but it has intensified. The country has the means to provide a better deal to workers, including higher wages and safer working conditions — yet has so far failed to do this. For the hundreds of millions of people struggling to get by, this is unacceptable. Perhaps another strike of this size will bring about change. The crisis in Venezuela would have been unimaginable just a few years ago. The country used to be the richest in Latin America. Now the economy has all but tanked, with inflation reaching up to 1,500% at times. This economic gutting has left people with virtually no food — people have to wait in lines for entire days to get basic staples like cornmeal. On top of this, the healthcare system has cratered and crime, corruption, and violence have all skyrocketed. More than 150,000 people have fled the country this year alone. As the situation worsens, citizens are taking to the streets in droves, clamoring for the removal of president Nicolás Maduro even as crackdowns on dissent have become widespread, which means that 2017 could be a breaking point. Femicide — gender-based murder of women — is a growing problem in Argentina and, more broadly, throughout Latin America. Argentinian women are furious with the lackluster responses of police when women are slaughtered. Far too many cases go unresolved. In October, hundreds of thousands of women marched after a 16 year-old girl was raped and murdered. It was a tipping point. The protesters demanded an end to the daily horrors and an overhaul of the justice system. The women rallied around the slogan #MiércolesNegro (#BlackWednesday), which grew out of another movement known as #NiUnaMenos (#NotOneLess). The movement has broad support around the world, especially in Latin America, as supporters of gender equality push back against rampant violence against women. When Brazil hosted the World Cup in 2014, the public was incensed that so much money was flowing away from areas like welfare and instead flowing toward a tournament that catered to international fans. Since then, the public has demanded a “FIFA standard” of improvements to schools, employment, transportation, health care, and so on. It became a powerful rhetorical cohesive, at once ridiculing the government’s priorities and spurring the people to imagine a better future. While this language was eventually dropped, the seeds of that discontent sparked protests throughout the country in 2016. One of the most promising protests has been spearheaded by students and teachers. Their demand is simple: fulfill the promises for a more robust educational system that were made years ago by former President Dilma Rousseff’s government. Now that she’s been impeached, the new government of Michel Temer has halted educational spending and has even begun to slash the budget. Sit-ins, strikes, and marches rapidly spread in response and have escalated over the past few months. The solidarity of students in high school and college has provoked a harsh response from the authorities, but the struggle continues. China has recently taken on more of a leadership role in the global fight against climate change. This shift didn’t just happen arbitrarily — it was driven by the outrage of the Chinese people. Faced with unrelenting air pollution, contamination of water sources, growing desertification, and a host of other environmental catastrophes, protests are erupting throughout the country. There is a burning awareness of injustice throughout the world. Nowhere is this awareness more acute than in South Africa, a nation that only a couple of decades ago dismantled a deeply racist system of government. The legacy of apartheid remains and can be felt all throughout society. The educational system is one area where injustice is most pronounced. In 2016, college protests demanding a total reform of higher education, “scrubbed of its apartheid-era European bias,” have rocked the nation. Countless schools have been forced to indefinitely suspend classes. Among other demands, the students are calling for free education. This in itself is not a radical demand, globally speaking. But when paired with a refusal to endure the status quo any longer, it has caused a fierce — and often violent — standoff. 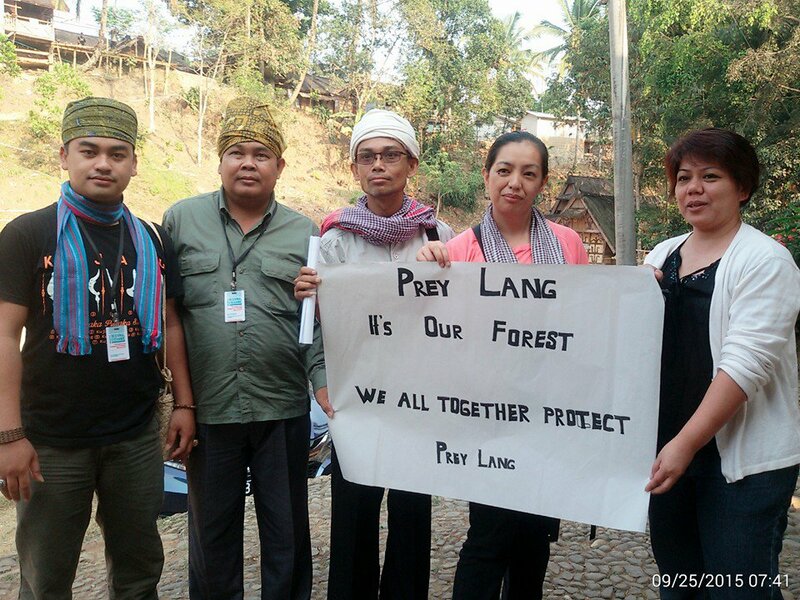 All around the world, indigenous groups are standing up against the destruction of their lands, oftentimes against enormous multinational interests. 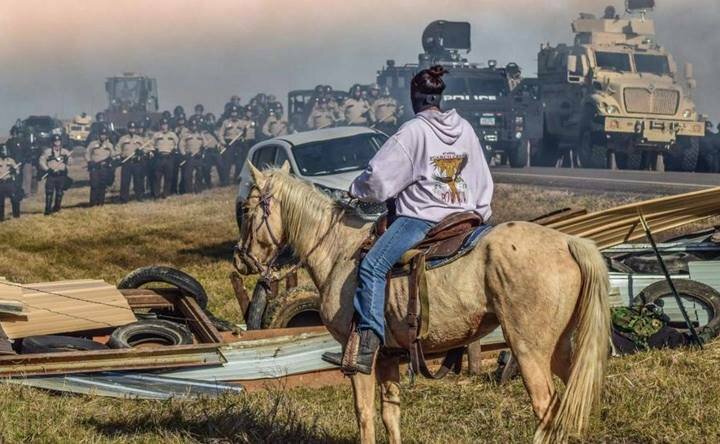 This fight was dramatized in the US during the Dakota Access Pipeline protests, when thousands of people camped out at Standing Rock to block the construction of a crude oil pipeline that they say would have traveled close to sacred lands and vital water sources. But in Brazil, Colombia, Ecuador, Cambodia, the Philippines, and many other countries, indigenous groups are protesting with less fanfare and less support. Oftentimes, they are ruthlessly murdered for their resistance and nobody hears about it. In 2017, indigenous groups will continue to protest and fight for basic human rights like access to water, clean air, food, and shelter. Just like the Standing Rock resistance, their struggles are inclusive and their demands for a fair, sustainable future ultimately benefit all humans.